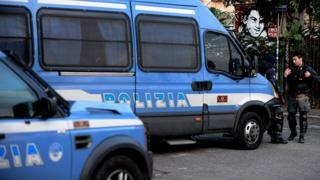 Italian police have arrested 34 people allegedly involved in a "bone-breaking" medical insurance scam in Palermo, Sicily. The perpetrators allegedly broke people's limbs and staged road accidents in exchange for part of their insurance payout. Police said the organised criminal enterprise had focused on drug addicts, alcoholics, the mentally ill, and others "on the margins of society" in financial need. More than 50 people were allegedly taken to "rooms of horror" in apartments or warehouses. In another case, the group staged a fake accident on a ferry from Palermo to Genoa, with the victim alleging he had fallen down the ship's stairs, Italian media say.